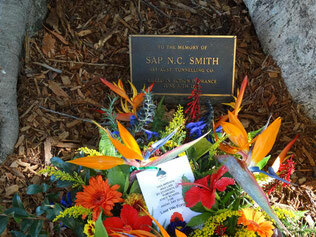 Norman Smith was born in Gympie in 1895. 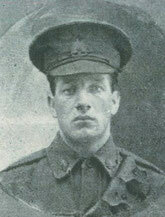 He enlisted in early 1916 an on 4 April 1916 he embarked from Melbourne on HMAT A14 Euripedes. He was put into the mining corps. which built and maintained the underground tunnels and as a small man at only 54 kilos he was able to crawl in among the tunnels on the Western Front. Tunnelling was very dangerous work because the Germans could break through and there would often be a hand to hand fight in a extremely confined place. Smith was actually absent from the line for ten months because of his illness and when he went back to the trenches he got trench fever, from the lice and the filthy conditions the men were living in, not bathing and not getting regular changes of uniform. He was ordered to rejoin his company and this is when he went with two other two sappers on a night out and he disappeared. His body was found in the Seine River at Rouen near Paris on 30 July 1918, 20 days after he went missing. He was 23 and the circumstances surrounding his death still remain a mystery. He was buried at St. Sever Cemetery France with full military honours.